Opening Times 30 April 2017 - 24 March 2018 The park is open 1 April - 30 September, daily from 10:00 - 18:00, and 1 October - 29 March, daily from 10:00 - 16:00. Closed 24 - 26 December 2017 and 1 January 2018. With sound proof multi-level soft play area, a separate cafe with a menu to suite all ages, and many different family orientated activities for all to enjoy. Crackerjax is an indoor adventure play and children's party venue in Crook, County Durham, with 10,000 sq. ft. of family fun and children's activities for kids of all ages up to 12 years old. There is an indoor Fun Factory as well as an outdoor play area for the youngsters to run off some energy and amuse themselves. Durham Cathedral is a Christian church of the Anglican Communion, the historic shrine of St Cuthbert, the seat of the Bishop of Durham, and a living centre of prayer, pilgrimage and presence in north-east England. We welcome all people, whatever their faith, to the Cathedral Church of Christ, Blessed Mary the Virgin and St Cuthbert of Durham. The very extensive remains of a 13th-century priory, founded on the site of a retired pirate's hermitage. Part of it later served as a holiday retreat for the monks of Durham Cathedral. Beautifully sited by the River Wear, it can be reached from Durham via a delightful riverside and woodland walk. Looking for somewhere to take family, friends or colleagues for a fun yet active trip out? At Hollywood Bowl we offer a safe and exciting environment for kids and adults alike with bumpers and ramps for younger members, plus a range of fun filled activities for older children and adults. Bowling has never been so fun! Killhope - set in the centre of the North Pennines in the Durham Dales - is a real adventure. Tour the mine, walk in the woodland, visit the exhibitions and see the wildlife. Finish your trip with a visit to the cafe and a wander around the gift shop. Family Entertainmet Centre for Children of ages 0-12 Indoor Soft Play, Giant Slides, Sports Arena, Traverse Climbing Wall, Full Size Ten Pin Bowling Lanes, Electric Go-Karts, Internet Cafe, Krazy Kafe' serving selection of home cooked food and drink. Mill House leisure centre offers a range of activities including swimming pools. Admission: Last known swimming from £4 per person, not currently shown on their site. Opening Times: Daily opening on session timetables. We welcome families and the indoor play area is a great place for the youngsters to play while the adults sit back and relax. (NOW CLOSED) A branch of the famous Otter Trust. Visitors can see Asian and British otters, red and fallow deer and several rare breeds of farm animals in this 230-acre wildlife reserve. If this venue re-opens we will update! The building is a mixture of traditional and modern with big comfy seats in the bar area, a sectioned off adult lounge and a family area. Having easy access and with indoor and outdoor children's play areas we are extremely popular with families and visitors to the Premier Inn next door. The garden to the front of the pub has been extended, with more bench seating available. Alongside the pub is a purpose built children's play facility, the Fun House. This great play building offers an exciting but safe environment for children under 4ft 9ins tall and is charged out per child at a very affordable price. The Newton Grange is situated two miles from the picturesque city of Durham, with views overlooking the valley of Sunderland from our patio and beer garden. Enclosed in the patio area is ideal for those of you who have small children to enjoy our small outdoor children’s play area. Outside there is an adult only area in the beer garden as well as a play area for the children. Our children's facilities also include an indoor purpose built Fun Factory which has all the equipment to keep the children amused for hours! Recently refurbished, the Lakeside restaurant offers a fantastic menu at excellent prices and the children can play in the indoor or outdoor play area. In the summer months you can dine on our patio at the lakeside and watch the deer and the ducks at play. The park abounds with wild life with squirrels, wild geese, swans and even the odd heron. Welcome to the wonderful county of County Durham. If you need child friendly ideas where to take the kids, kids days out, or fun things to do with the kids in County Durham then we can help. We have family pubs with kids play areas, soft play areas, indoor play areas, outdoor play areas, playgrounds, aquariums, castles, stately homes, children's clubs such as Scouts, Cubs, Beavers, Brownies, Guides, youth clubs, activity centres, Air, Sea, Army Cadets. We list children's entertainers in County Durham if you are planning a birthday, cinema, theatre, petting zoo, animal farms, children's farms, leisure hire, museum and art gallery, nature areas such as parks, and countryside walks and beaches. We have kids activities related to outdoor pursuits and sports such as swimming, ice skating, ten pin bowling and football centres. We list theme parks and Adventure Parks in County Durham. If you are looking for zoos with more exotic animals then we have them. 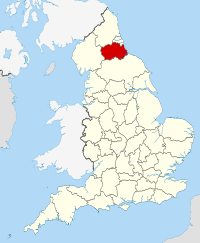 Don't forget to look at the nearby counties of Tyne and wear, Northumberland, North Yorkshire and Cumbria to see what they can offer you. We now list seaside towns in County Durham , so grab your bucket and spade and head for the County Durham seaside with the kids. We have days out with the kids in County Durham in and near :- Annfield Plain, Billingham, Chester le Street, Consett, Darlington, Durham, Ferryhill, Hartlepool, Newton Aycliffe, Peterlee, Seaham, Sedgefield, Shildon, Stanley and Stockton on Tees.